The first part of the Geoff Johns era of Green Lantern, beginning with Green Lantern: Rebirth (started July 2005), all builds toward the Sinestro Corps War mega crossover event (started June 2007). 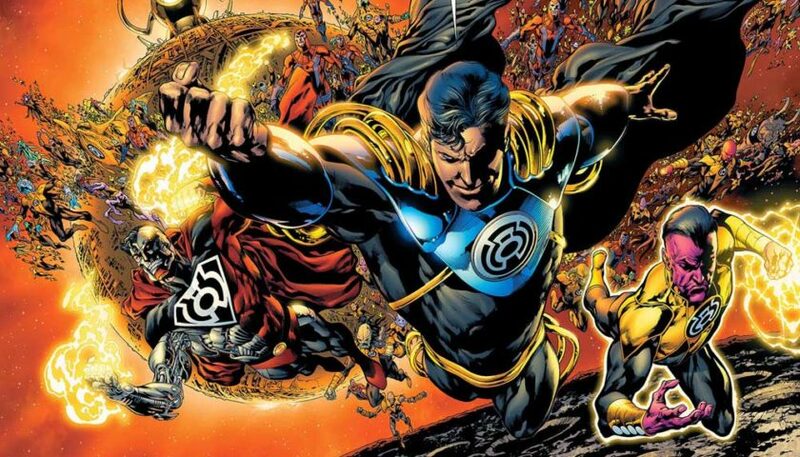 Coupled with Infinite Crisis, the Sinestro Corps War marks the second major Geoff Johns penned DC event of the decade, expanding on character development set up during the aforementioned Crisis. Below you’ll find a complete reading order to comics in the Sinestro Corps War, including essential prelude material to help you understand and enjoy the event. In addition to the context of comics leading up to the event, I’d also recommend fans check out Comic Book Herald’s complete Green Lantern reading order! The Rebirth miniseries kicks off the Geoff Johns written era of Green Lantern, which would run from 2004 through 2011 (and then straight on in to the New 52). While I’d argue the entire Johns’ written Green Lantern is a fantastic idea for enjoying Sinestro Corps War, the “Rebirth” mini (not to be confused with DC’s later DC Rebirth initiative) kicks things off and attempts to synchronize the Green Lantern (specifically Hal Jordan) continuity of the 1990’s and early 2000’s. This includes Emerald Twilight and Zero Hour , the 90’s event which forever changed Hal Jordan and developed Parallax, the villainous fear entity who will play a major role alongside Sinestro.